Are the surface grates of your stormwater drain not clearing when it rains? Or is water coming out the bottom of your downpipes? Sounds like you’ve got a blocked stormwater drain and if you don’t take care of the problem soon, you may run into flooding issues down the track. 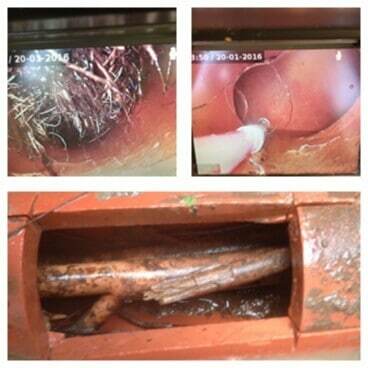 Luckily, the local experts at The Blockage Doctor are here to help with any and all of your blocked drain woes. Thanks to our efficiency clearing blocked stormwater drains in Melbourne, Brisbane and Gold Coast the experts at The Blockage Doctor can prevent flooding and water damage from effecting the stability and quality of indoor and outdoor environments. Fixing a blocked drain first requires finding the blockage. We use the latest and greatest location and repair equipment to make sure your stormwater drain is cleared in no time. Utilizing closed circuit television (CCTV) cameras, we can receive clear pictures obtained from the inside of your drain to determine the extent of damage, potential future damage and the best approach for moving forward. With high pressure water jetting, we are able to clean sewer and drain lines using a powerful blast of water. We’re able to pump water at these high pressures using an engine and pump setup to clear your drain in no time. Unlike plumbers, who focus on the installation and maintenance of systems such as hot water and heating, we are drain clearers who specialise in cleaning and unblocking drains as well as repairing any damage throughout the drainage system. With our unique approach to completely clearing blocked stormwater drains, Brisbane residents can breathe easy the next time a storm rolls over the city. As specialists, we utilise a variety of advanced technologies to locate, diagnose and clear blockages so your stormwater drain can do what it does best. By combining our training, use of innovative methods and techniques, and our passion for delivering the highest quality service we can clear blocked stormwater drains plaguing Brisbane homes. To get in touch with our expert team to book our stormwater drain clearing services for yourself call us on 1300123823. If you’re a Melbourne, Brisbane and Gold Coast local with a blocked stormwater drain, Blockage Doctor is here to help. Don’t let flooding ruin your day.